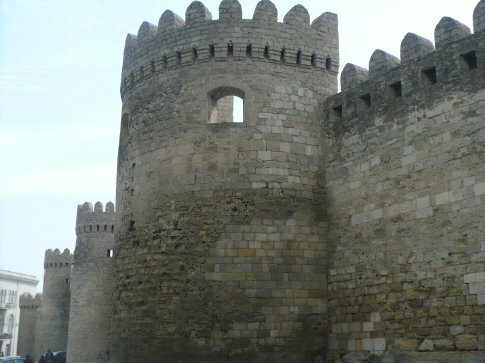 After picking up a CD by stunning Azeri opera-mugam-jazz singer Aziza Mustafa Zadeh, I donned my figurative Indy fedora and weaved my way simultaneously through the cobbled streets of the Old Town and Azerbaijan's rich history. Aside from the looming fortress walls encircling the Old Town like a protective mother, the most obvious sight is the 12th-century Maiden's Tower, which rises majestically above the surrounding structures and serves as a useful reference point visible from all parts of the Old Town. 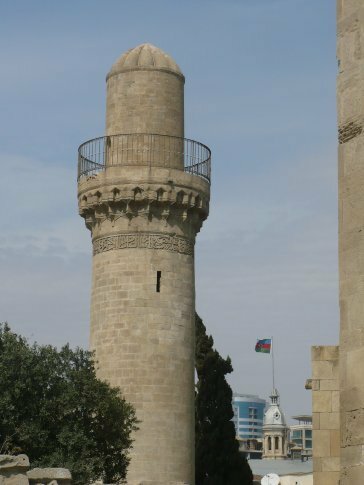 One of Azerbaijan's most recognizable national icons, its purposes and history remain swathed in mystery and folklore. 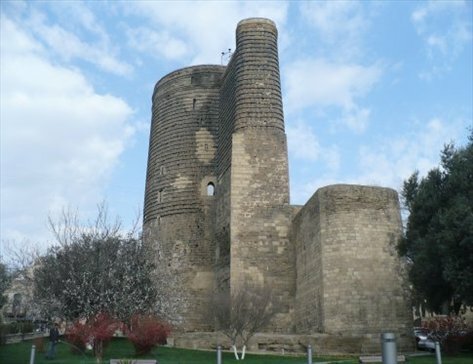 One popular story is that a king fell in love with his daughter and demanded her hand in marriage; disgusted by this prospect, she requested a huge tower be built so that she could survey the extent of his kingdom and then committed suicide by throwing herself from the top. Ah, the medieval times... never a shortage of death and destruction, yet somehow still viewed as hopelessly romantic! The nearby 14th-15th-century Shirvanshah's Palace contains the familiar array of mosques, mausoleums, and minarets; this time, however, my senses were not overwhelmed by the dizzying azure tilework typical of Central Asian Islamic architecture. Adorned by more subtle and earthy stone carvings, many incorporating Zoroastrian elements of sun, fire, and animals, this Islamic complex was less obviously dazzling than those in Bukhara and Samarkand but no less beautiful in its own right. Listed as UNESCO World Heritage Sites, the Maiden's Tower and Shirvanshah's Palace add a markedly medieval exoticism to the otherwise boringly modern city. I am repeatedly amazed by the longevity of such historic buildings and struggle to imagine anything built today that will still be standing as proudly in another millenium. Fast forward a few hundred years to the age of Imperial Russia. The 1813 Treaty of Gulistan ended the first Russo-Persian War but signed over vast tracts of Iranian territory to Russia, including all of present-day Azerbaijan and most of the Caucasus. Widely regarded as one of her most humiliating military defeats, Iran was also forced to surrender rights to navigation on the Caspian Sea and other restrictions on trade, the after-effects of which are arguably still felt today. Russian historians of course claim that this takeover 'saved' the people of the Caucasus from continual subjugation by the Ottoman and Persian empires. The brutal 1990s war in the breakaway territory of Nagorno-Karabakh led to thousands of internally-displaced persons (IDPs) in both Azerbaijan and Armenia. The Azeri government has put itself in a bind by refusing to formally resettle ıts IDPs, since this would in effect acknowledge Armenian occupation and control of Nagorno-Karabakh. 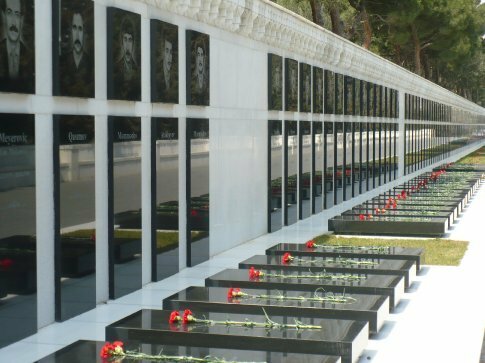 Today, a fierce hostility towards Armenians bubbles dangerously close to the surface of the national Azeri psyche. Later that evening, I was granted a break from the mind-numbing statistics of the seemingly unending conflicts riddling the region. 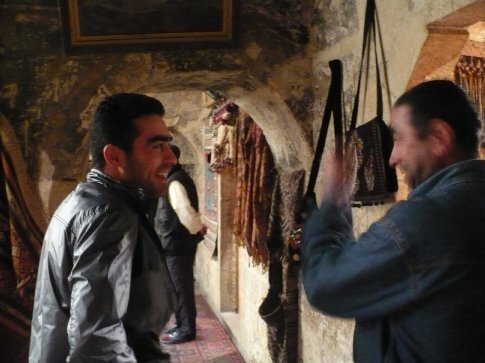 I met up with my friend and his coworkers in a revamped 14th-century caravanserai, where we spent a couple of magical hours sipping tea through sugar cubes (my first few tries were far less graceful than I'd care to admit), enveloped by the tantalizing aromas of Azeri spices and sounds of Arabic music in the courtyard restaurant below. The men's conversation moved seamlessly from Azerbaijan's linguistic diversity (apparently there are 33 languages and dialects) and wrestling champions to comparing bullet scars from the Nagorno-Karabakh war. With that, I realized that it's easy enough to forget the stats when you're just looking them up on the internet; it's somewhat more diffıcult to do so when a man lays bare the scars of his past through those on his legs and face.